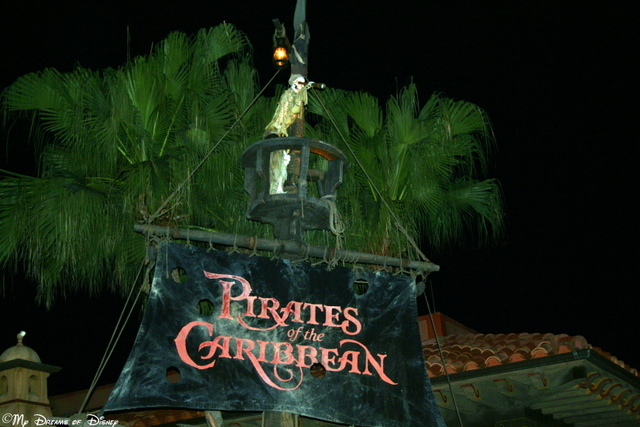 The Pirates of the Caribbean attraction at the Magic Kingdom turns 40 today! Today is a very momentous day in the history of Disney. Of course, on a sad note, today marks the 47th anniversary since the loss of Walt Disney to cancer. However, today also marks a happier occasion as well! Today is the 40th birthday of the Magic Kingdom version of Pirates of the Caribbean! This classic ride, which I have featured many times on our blog, was one of the first major changes to the Magic Kingdom after it opened in 1971. 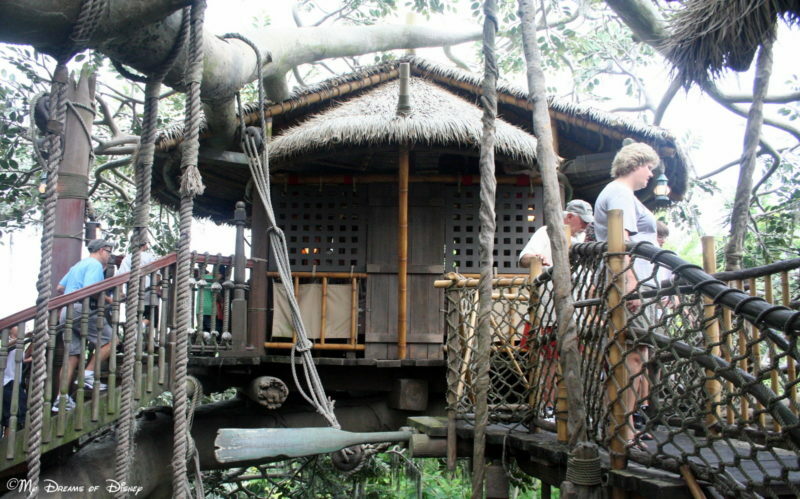 I do not know if they marked today on purpose to open POTC because of the anniversary of Walt’s death, but I’m willing to bet they did since this was one of the last major attractions that Walt had a hand in when it was created for Disneyland in 1967. What I do know, though, is that a day of sadness for so many may also be a day when we can put a smile on our face because of the Pirates of the Caribbean attraction. You can read more about this anniversary over at the Disney Parks Blog, including watching a video that features Walt himself talking about the attraction! Now, tell me, please — what is your favorite Pirates of the Caribbean memory or movie? Please let us know in the comments, and thanks! Hello everyone, and welcome to My Dreams of Disney! 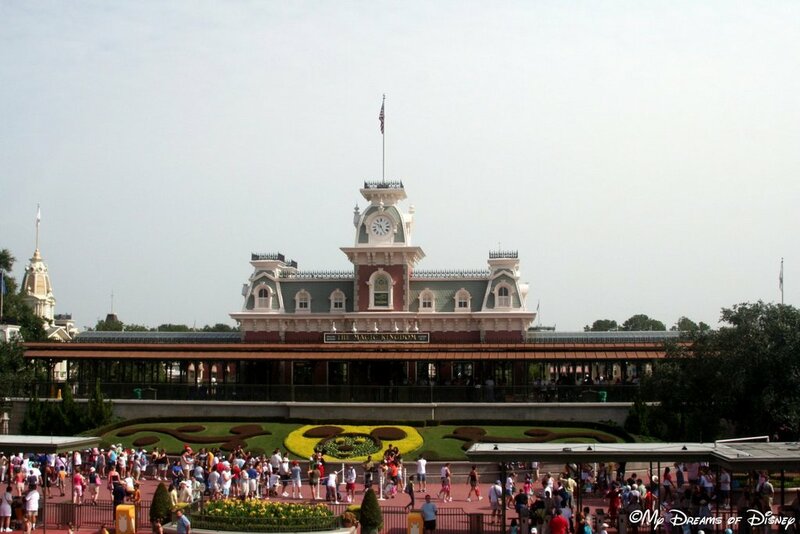 When you approach the Magic Kingdom, I know that the famous Disney Magic hits you right in the face, and draws you in. I know that the Magic Kingdom is full of experiences, emotions, excitement, and memories, but at some point, we all go to the Magic Kingdom for the attractions! In today’s post, I’m going to take a look at my top five Magic Kingdom attractions — and I invite you to join in on the comments and tell me YOUR top five attractions! 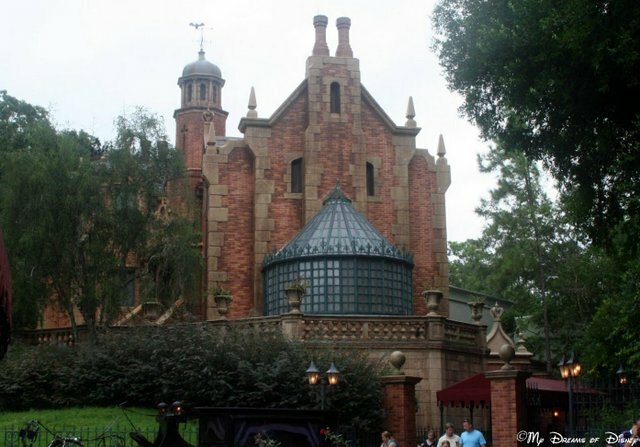 Coming in at number 5 in my list is the Haunted Mansion. This attraction is a good one, and is always full of fun for us. If it has any drawback, it’s that the loading queue can be a bit much at times, but once you finish merging 100 people or more into one line, it’s all good! Occasionally the ride does stop and start at times, but if you are lucky, it will happen at a great spot and you can get a great look at everything! 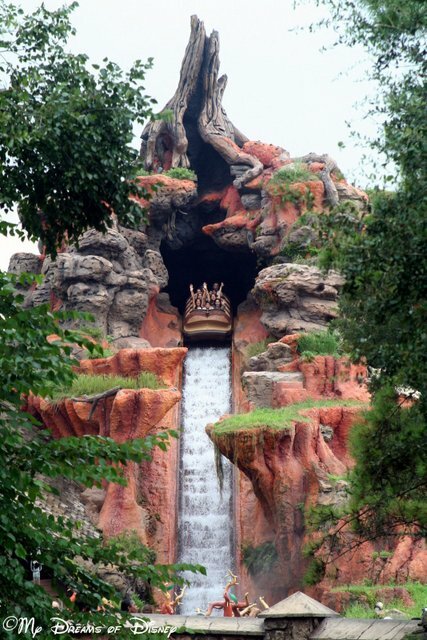 At number three in our list is Splash Mountain! 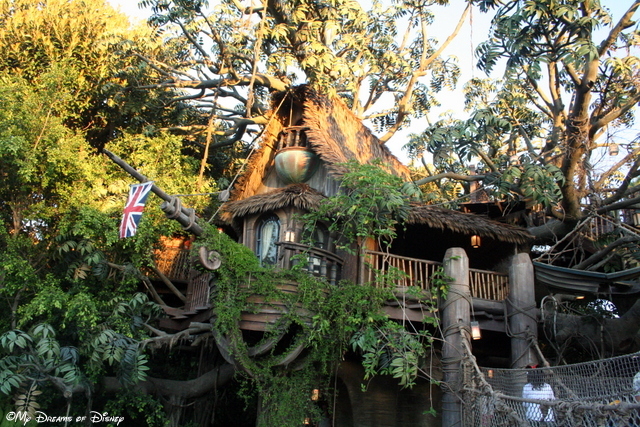 This ride — which is an incredible ride, by the way — is my daughter Sophie’s favorite ride! It does have one big drawback, though…the lines! I love the story of Brier Rabbit as portrayed in the movie Song of the South, I love that it is a really long ride with many small drops, and I absolutely love the 52′ drop at the end! 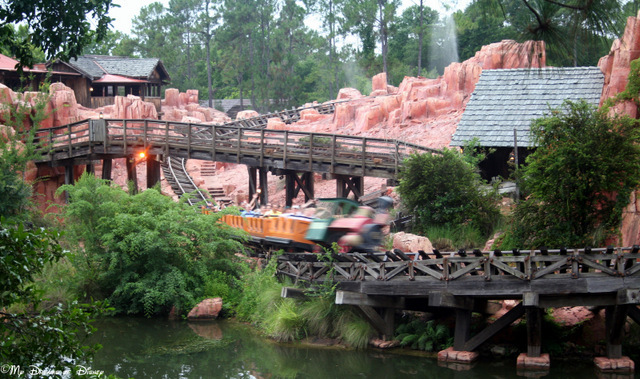 As I said, Peter Pan’s Flight is a toss-up between number 2 and number 1 in my list, but for today, my big Kahuna attraction at the Magic Kingdom is Big Thunder Mountain Railroad! The reason for this is because of an experience I had on our last trip — in fact, on the last night of our last trip. It was July 27th, 2013, and I was with Cindy, Sophie, and a whole host of Pixie friends and their families at the Magic Kingdom. 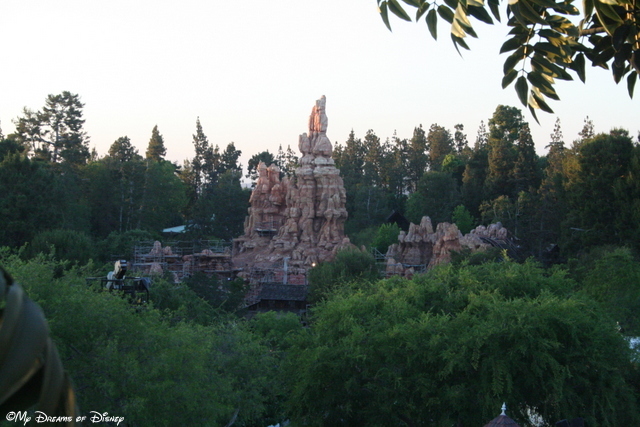 A group of us decided to ride Big Thunder Mountain Railroad, and some of the kids had never been on it before. Not only were they brave and ride the coaster, but they had the time of their lives and we got right back on it and road it again! In fact, this time they rode with their hands up in the air the entire time! It was a great end to our Pixie Trip, and because of that, Big Thunder Mountain Railroad currently sits at number 1 on my list! 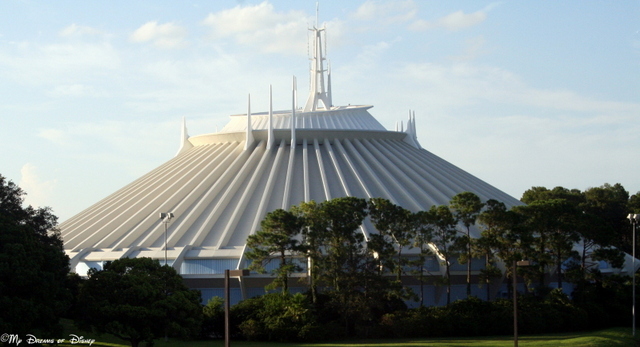 Of course, Space Mountain is on my list — just not in the top 5. Truthfully, I like Space Mountain at Disneyland better because you can have two to a row there, but I like ours also. 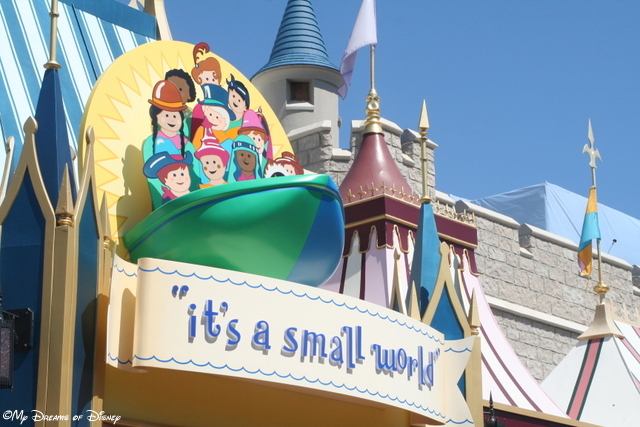 “it’s a small world” is another of my favorite rides, but I just ran out of numbers, so it is an honorable mention. It would definitely make my list for a top 10 list! 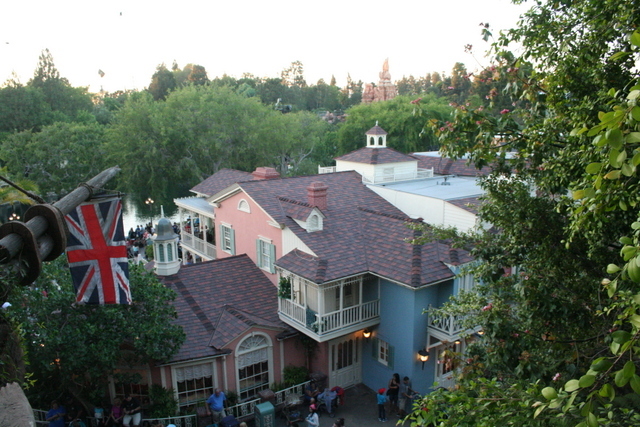 Thank you all for stopping by today, I hope you will comment on your favorite attractions so that we can compare notes! Let me know what you think of my choices, and thanks everyone! 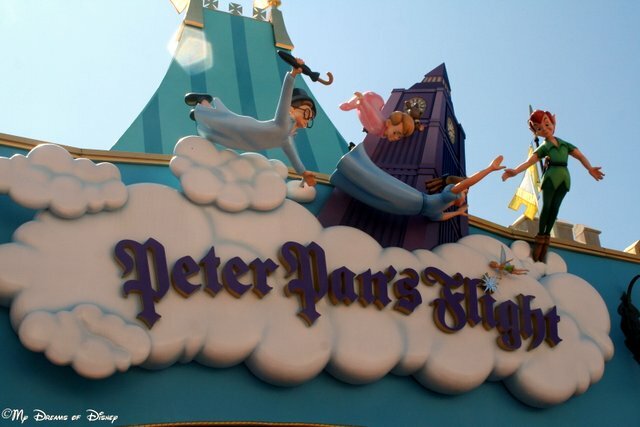 Make it a Disney Day!